It’s awards season again, with all the hype, scandal and controversy which that entails. With outrage at the Oscars, grumbling at the Grammy’s and boycotts at the Brits, it’s good to know that there’s one place where prize-giving is still a polite and pleasurable pastime; The Blogosphere. I’ve been extremely honoured recently, (and throughout my blogging adventure) in that I have received several award nominations on Diary of an Internet Nobody from a wide variety of other bloggers, who have very possibly taken a wrong turn and found themselves diverted to this little backwater, on an obscure side road off the information superhighway. 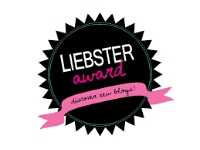 The Liebster Award was, in fact, the very first one I was nominated for, way back in September 2012, so it’s nice to know that it’s still being passed around the blogging community. As always, there are a whole set of rules that come with these awards, although they seem to vary considerably, depending on which version you receive. However, since I never follow the rules anyway it won’t be problem deciding which ones are most relevant to me, (which is fortunate, as I probably wouldn’t qualify under at least two of the variations) but that doesn’t mean I’m any less grateful to be nominated. This incarnation of the award comes via Brittany at blg2011motherof2, so thank you Brittany, I’m delighted to accept it. I have decided to bestow my nominations on the last eleven bloggers to follow me, as the number eleven appears to be a feature of award this time around and it seems to be a nice way of showing my gratitude and appreciation to my new readers. I’m a firm believer in the idea that you can tell a lot about people from their taste in music, so instead of telling you a lot of useless facts about myself that you’ll instantly forget, I shall once again be employing the Tenuous Lynx principle, to connect my nominees to songs, bands or albums that I’m fond of, in the hope that you’ll discover something new and interesting to enjoy whilst perusing the blogs I’ve chosen. 1) Sass and sauce – for cookery, cats and more. 2) Amy Parker – from thoughtful articles to short stories. 3) This thing called life, one word at a time – life, poetry and fiction. 4) My daily musing – ships, smiles and spirituality. 5) Sableyes – dogs, motorcycles, tech and fiction. 6) Shirley Blamey – personal journal with plenty of heart and humour. 7) Pass the bubble wrap – frank, moving and a little mad, a new blog from Australia. 8) Melting ice towers – impressive creative writing blog from two students in Nairobi. 9) A covert narcissist’s wife – emotional and raw, a cathartic blog written with a brutal honesty. 10) Café book bean – couldn’t be clearer; enjoy a book and a coffee? Come on in. 11) Greenland diaries – intriguing and atmospheric post-apocalyptic fantasy fiction blog from a self-published American author. So there you have it; 11 new blogs for you to check out, 11 musical nuggets to entertain you, giving you 11 new insights into my psyche (possibly), I hope you find something to make your day more interesting. 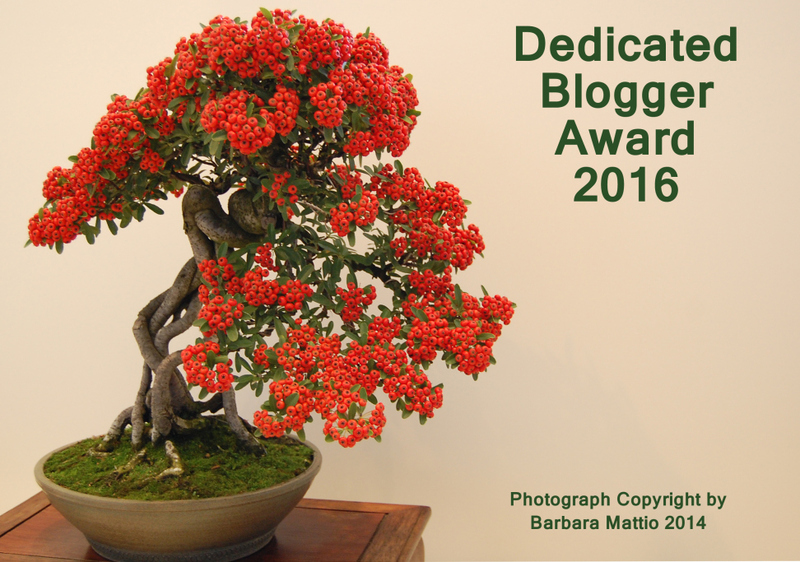 I’m very pleased to announce that I have been nominated for the Versatile Blogger Award by Annette’s place. After accepting two others fairly recently, I’m very flattered that so many other bloggers think I am worthy of recognition and, despite the generic nature of these awards, I think it’s only polite that I should mark the occasion in some way. As those of you who have followed this nonsense for any length of time will know, I generally like to add my own twist to the standard nomination format, so despite the fact that there are rules for this award, I’ve decided to go in different direction. …to add some all-important, randomly retro musical accompaniment to the process, which will be determined by the letters of the word, VERSATILE. …making the first of our tunes fairly self-explanatory. …and Bethlehem is in the holy land, which takes us here. …and her namesake is the subject of this, the extended live version of an American rock classic. …but I think they would approve of this post-punk anthem. …leading us to these equally vibrant and colourful gentlemen. …and there aren’t too many tunes that link to a title like that, which means I get to play you a demo. …which, in translation, probably bears no resemblance to this modern rock supergroup, but that’s never stopped the Tenuous Lynx before. …giving me a great excuse to play this. …allowing me to finish with an epic live performance by one of my favourite bands. Thanks again to Annette for the award. When you’ve checked out the links here, please head on over to her blog and see who else she nominated. This time, I’m going to break with my contrary tradition of not answering the questions attached to the nomination, simply because I don’t have the time to come up with another Tenuous Lynx post. 1. Have you ever fallen in love with a character (Yours or someone else’s)? Not that I can think of, not in a book anyway. If we’re talking movies, then any part played by Audrey Hepburn. 2. What is the hardest part of a story or an article for you to write? Hahaha, well, given my recent diversion into open-ended storylines, (The Wrong Stuff, Starship Gypsies and the unfinished sci-fi masterpiece story, Deus Ex Machina) I think I’d have to say endings. Although many of my plots seem to arrive in my head basically complete, my problem is getting lost in writing it and finding out that I’ve gone from A – B via D, K and Y and have to think of a way of getting back to where I left off. 3. Do you ever get into a “writer’s block” situation and if so how do you get out? Ummm, not as such, because I just talk rubbish most of the time anyway and I don’t have a strict posting schedule. But if you’re talking about fiction specifically, I tend to make stuff up as I go along and it just seems to come to me, once I’ve got the starting and end points of the story. 4. If not how do you avoid it? By not writing if I don’t feel like it, I suppose. There’s no point in staring at a blank screen when I could be doing something else. But I love doing it so much that it rarely happens. 5. What is the best part of being a writer or blogger? I’m beginning to think the answer to that may well be “the community”, because I really enjoy the network of other writers and bloggers who I’ve met in the last three years or so. Social media is ok for entertainment, but unless I count the many arguments I’ve had about US gun control, it isn’t exactly a debating platform for an intelligent exchange of views and ideas. Which is fine, don’t get me wrong, I love Facebook, but the blogging community is a unique and extraordinary thing. I’d never suspected there was so much talent and imagination out there to be discovered. 6. How do you keep yourself motivated to write? Just the fact that I have the opportunity to do so is enough for me. I’m properly hooked. 7. Do you need noise or quiet when you write? I very rarely get to have total peace and quiet, with three of us in a small flat, but I can cope with a little background noise. If there’s a lot of talking going on in the room I’m trying to write in, (Audrey does have a habit of giving a running commentary on everything she does, which is a little like having someone recite a list of random numbers in your ear whilst you try and solve algebra problems) I will sometimes put headphones on. I like having music on when I’m writing, but then I like having music playing when I’m doing pretty much anything. 8. What is the way you celebrate when you write something that makes you proud? The important part of these awards is obviously paying the compliment forward, so I’m going to pick five blogs that have made an impression on me recently and whose work I think is worth your time checking out. …go over and say hi, tell them dalecooper57 sent you. And because I can’t resist mixing things up a little, instead of posing questions for you to answer, (although you are of course free to answer the same ones I did, I’d be interested to hear what you have to say) I’d like you to post a favourite photo that you took which represents “sunshine”, to follow the theme of the award. Thanks again to the inestimable Mr John Howell for the nomination, this has been Just Jot It January for day 22, see you tomorrow. * That link really is worth checking out, for a wealth of music, video and other random entertainment. 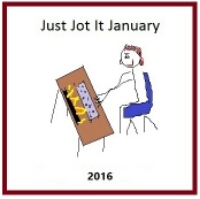 Day five of JJIJ is brought to you in partnership with the lovely Horty Rexach and her blog, It Is What It Is. Dr Rex, as she is known to her readers, has not only been a faithful supporter of Diary of an Internet Nobody for sometime, but I’m also lucky enough to have become friends with her on Facebook and her irrepressible positivity never fails to brighten my newsfeed. 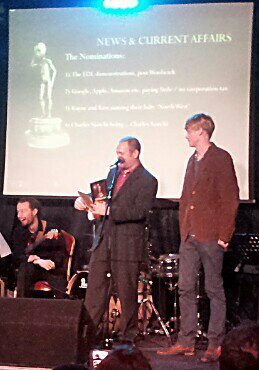 This particular award is refreshingly free of conditions and instructions, but I am choosing to pass it on to some of the writers and artists who made 2015 such a fun year to be part of the blogosphere. So if your blog appears in the following list, you can be sure that you have informed, entertained or inspired me with your own unique brand of dedication to the blogging cause and I thank you kindly. Assorted Thoughts From An Unsorted Mind. 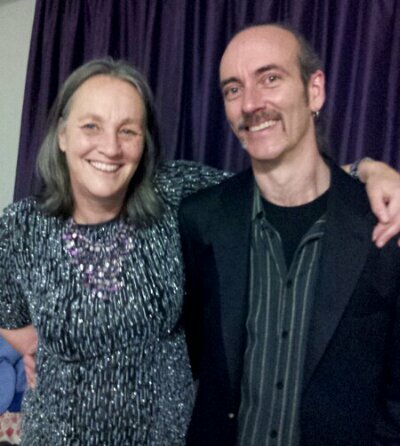 And finally, an extra special mention to Linda G Hill, for being instrumental in inspiring my dalliance with fiction, via her excellent Stream of Consciousness Saturday feature, (and for giving me the opportunity to inflict a cringe-inducing one liner on the blogging community every week) which I have enjoyed enormously. Pingback to the very inspiring and dedicated Linda G Hill. 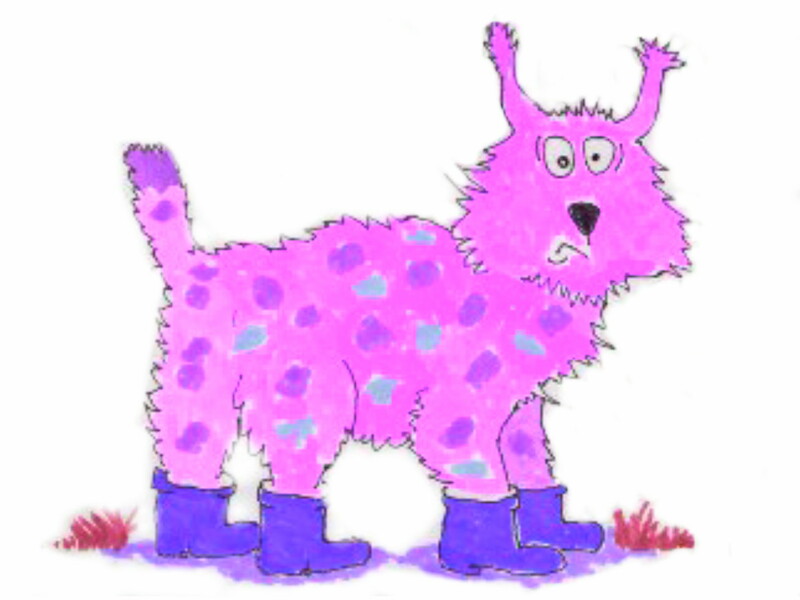 Posted by dalecooper57 on January 5, 2016 in Arts, Awards, Blogging, Guest spots., Ho., Internet, Just Jot It January, Literature and writing, social networking, The write stuff. And the award goes to…..ME! Oh alright, it’s a “challenge”, not an award, but it was bestowed upon me by somebody else and that’s good enough for me to call it an “award”, so I’m accepting it as such. It’s been a while since I got a blogging award and most of the ones I have had, I’ve attempted to subvert in some way, to avoid all the accompanying “tell us sixteen random facts about yourself” type questions that usually come as a condition of accepting them. 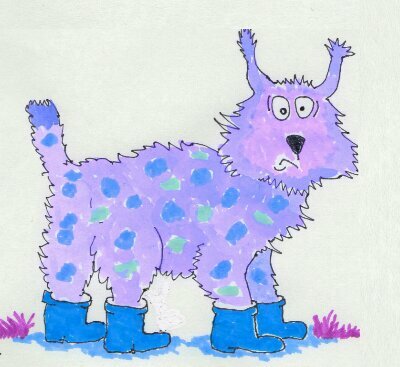 Which is how the Tenuous Lynx was born of course, so think yourselves lucky that I’m going by the book with this one. * Copy-paste, link, pingback, etc. your first post. * Identify the post: introduction, story, poem. * Explain why it was your first post. * Nominate five other bloggers. Ahh, but wait, there’s a problem. Some time ago, I have no idea how, my very first blog post was deleted, probably by me pushing the wrong button, which means that any casual web surfer who happens upon Diary of an Internet Nobody will find (if they were dedicated enough to scroll through 300+ posts) that the “first” post begins with the line, “Having posted yesterday’s introduction…” which would be a slightly odd way to begin anything. All of which is rather a shame, because I seem to remember the introduction was pretty good for a first attempt. Umm, I don’t really understand rule number three. I mean, surely it’s because I hadn’t written anything else yet? Which should just about cover it I think, so here is my first second ever blog post. Having posted yesterday’s introduction, and having had the day to think about it, it occurred to me that the obvious choice of subject matter to write about would be the one I’m most obsessed with, music. After further reflection however, I have decided that this may lead to a certain level of subjective preachiness. I mean, I’m all for forcing people to listen to inviting people to have the opportunity to listen to a rare David Devant and his Spirit Wife CD, the latest Ninja Tune compilation, or the live All Tomorrow’s Parties set by Venetian Snares, but I can’t stand to see so many frozen smiles and surreptitious glances at watches. The result of all this cogitation is that I have decided I shall need to follow the Growing Up In Public method, and practice my writing with an audience with the potential for an audience. Now, even I have to admit, the thought of reading a blog composed of the literary indecision of its writer wouldn’t fill me with much enthusiasm, so I will endeavour to make this a rapid learning curve. It is beginning to feel good though; using the parts of my brain that usually just sit at the back and throw things, they’ve finally got to sit up and do some work for a change. …oh, and not forgetting this. Hope those didn’t cause too many frozen grins. So there you have it, you’ll have to be the judge of what, if anything, has changed in three years. But if you read that when I first wrote it and you’re still here now, well, I think you deserve a medal. Thanks for sticking with me, you’ll be the first one I call when I’m rich and famous, honest. Part one – Meeting the Man. It was back in 1983 when I made my one and only other trip to Guildford. The last time I travelled up by train from Sussex as an excited teenager, on my way to an audition for the stage management course at the drama school there. As it happens, I passed the audition and was offered a place, only to have my hopes dashed by the County Council bean counters refusing me a grant, otherwise I may have by now been part of the apparently thriving arts scene in this bustling, historic and leafy Surrey town. Fast forward 30 years and this time I was making the journey with Elaine in my trusty Nissan Micra, all the way from rural North Devon. But let me tell you, I was no less excited. The event for which I’d been waiting with no small degree of anticipation for several months had finally arrived. After a pleasantly uneventful journey “up country”, along spectacularly colourful, tree lined roads that cut through the undulating autumnal landscapes of Wiltshire and Hampshire countryside, we arrived at the pub guesthouse on Saturday afternoon (functional but disappointing) and went to stretch our legs in a nearby park. And it was just as we returned to our accommodation that the man I was most looking forward to meeting arrived. Adam Pain, the man behind the excellent A World Of Pain blog and co-creator of the Golden Face Palms, to nobody’s surprise turned out to be a thoroughly decent bloke. Instantly likable, hospitable to a fault and possessing a talent to infect you with the same passionate enthusiasm he has for this mad idea – to spotlight the cringingly awful behaviour of those paragons of ineptitude and insensitivity in public life who clog up our newspapers and TV screens with their endless drivel by giving them awards, to be collected on their behalf by those who nominated them – he talked animatedly over a pint about how the project had first evolved and how blown away he was at the way support had grown in the lead up to the event. (It is worth pointing out that Adam already has form for this type of spur-of-the-moment altruism, having used connections made via his job as music lecturer at the Academy of Contemporary Music to put together a charity single to raise money for Sophie, a little girl with cancer. The video below was made after asking people on Facebook to send in thumbs-up photos, the idea being to get as many “likes” as possible. Having agreed to meet up later on for a longer chat over a few drinks Elaine and I went in search of sustenance, finally settling on one of Adam’s recommendations, The Old Wheatsheaf, on the grounds it had the same name as our old local back in Sussex. By coincidence they had just won Pub of the Year, and if the food and fine selection of draught ciders were anything to go by it was well deserved. Adam walked with us back to our digs on his way home, where we bid him goodnight and promised to meet up after we checked out on Sunday morning to finalise plans for the evening’s ceremony. Once we’d taken our post-breakfast walk with Adam and his two dogs it was time to get nearer the action. Ho and Trevor, old friends from Sussex, were coming up for the festivities and we were moving to meet them at a Premier Inn nearer town in order to have less of a journey home that night. So having decamped to our new quarters and caught up with each other, eaten dinner and had a few pre-awards drinks, it was time (“at last!” I hear you cry) for the main event. Part two – Beyond the velvet rope. A quick trip up to our room to change into our glad rags and we were ready to go. 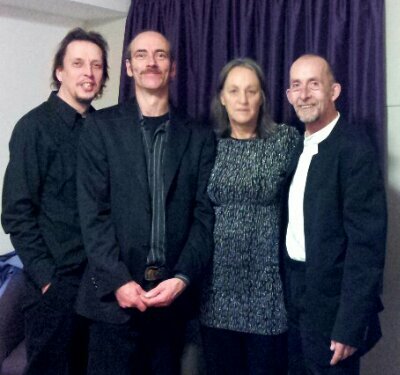 Look out Guildford! With Ho and Trev. Arriving at The Star Inn we were met by our genial and frenetic host Adam, seemingly calm and eager to get things underway, who welcomed us with his normal affable charm and commented on how impressed he was with Ho’s cartoons on the blog before vanishing on some last minute errand. And so to the ceremony itself. The function room was already buzzing with excitement and laughter when we walked in, the neon signs of the bar giving a cozy glow to the back of the room, contrasting with the brightly lit stage in front of us. Adam took the stage to wild applause and introduced The Spud Smith Band, the house band for the evening, who played superb off the wall funked-up jazz fusion numbers throughout the show. and Music – Robbie Williams for Candy because, well, have you heard it? All picked up – to the accompaniment of rapturous applause and wild cheering – by ordinary folk who had voted online for their own personal favourite celebrity cretin-fest or moment of teeth-grinding political stupidity. “And the winner is…” Adam presents the first award. There were many others, which I shan’t list here because the event was filmed for YouTube release next month sometime and I’ll let Adam do the honours on his own blog. Documentary – won, despite tough competition from a film about London’s ceremonial bumbler-in-chief and novelty politician Boris Johnson, by a Channel 4 News report about Nigel Farage in Bulgaria. And who’d have believed it, but that’s one of the many nominations I’d sent in, along with one for the deeply unpleasant Katie Hopkins (who I was secretly hoping was going to be the one I’d receive an award for) but never mind, she also won something. Much to my relief. So I made my way to the stage amid much cheering – Farage had proved a popular choice – and to my delight was presented with my commemorative plaque by one of Adam’s former students, now BBC Radio 2 A-listed rising star, the beautiful, charming and extremely talented Emma Stevens. During the evening we were entertained by other former alumni of the ACM where Adam works. Liv Dawson wows the crowd. 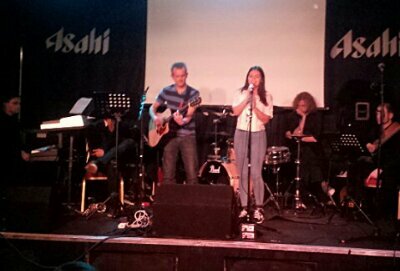 Apart from the wonderful Spud Smith and his band, we had music from Liv Dawson who had the crowd enchanted with her haunting voice and also a set by comedian Matt Blair, topped off with a short but fantastic set from Emma Stevens herself. Here are some clips to give you an idea, including Matt’s brilliant text-speak karaoke song and one of the tracks from Emma’ debut album that she performed live. I’m honoured to say that Adam singled me out more than once during proceedings, at one point getting the entire crowd to stand and raise a glass in salute to the dedication shown by me (and my “entourage” as he called it) by travelling from Devon to attend. Although I think he may have used the word “lunatic” once or twice, I still choose to take it as a huge compliment from a man who not only brought together a whole load of amazing people in the name a really good cause, but showed them all a bloody good time and helped raise money for charity into the bargain. I’m also happy to report that the parents of Sophie, the little girl for whom Adam raised the money, were there to present an award and to tell everyone that she was doing fine and that they’d celebrated her birthday only the day before. And as if that wasn’t enough, before we all went our separate ways the next morning Adam insisted on meeting up so he could buy us breakfast. The breakfast after the night before, Adam – second right. A complete and utter triumph all round then. 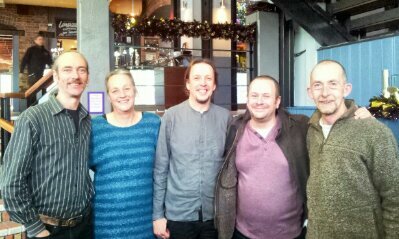 We met some great people including top bloke Matt Pain, the lovely Simon Venn and the even lovelier Debbie, Adam’s wife. And what’s more, I’m reliably informed that there are already plans in the offing for next year’s event, so watch this space. 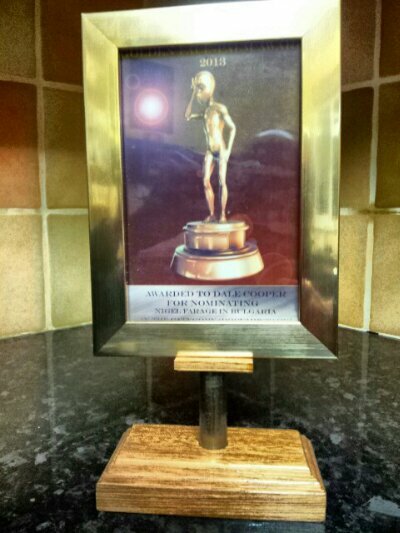 Now, where can I position my award for maximum impact…? 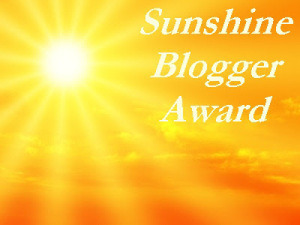 I’m delighted to say that I’ve just received another blogger award. 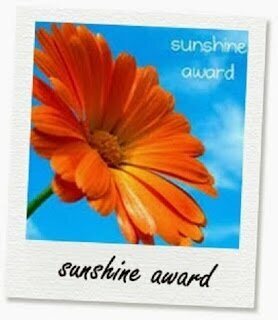 This time it’s the Sunshine Award, presented to me by Lanthie at Life Cherries and as usual it comes with some pass-on-the-award-to-other-people-and-give-some-facts-about-yourself type rules. But if you’re a regular reader then you’ll know that I try and do something a little more interesting with my nominations, so with that in mind jet me introduce you to my new award. 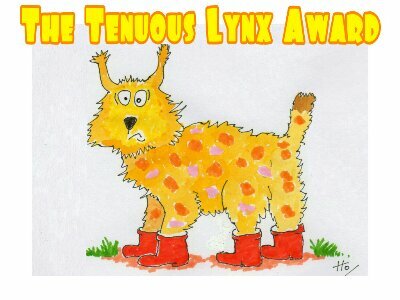 Ladies and gentlemen, I give you the Tenuous Lynx Award. Here’s the idea. We all know we can connect ourselves with each other via six degrees of separation but I thought I’d go one better and connect the seven blogs I’m nominating for my newly minted award by seven degrees, all via stuff I like, thereby giving you that all-important insight. 0º Life Cherries gave me the award. 2º The Rolling Stones recorded a song called Mother’s Little Helper, about housewives getting pills from their doctor. 4º …the second sequel of which stars a host of British actors, including Charles Dance. 5º Charles now stars in the TV adaptation of George R.R.Martin‘s brilliant Game of Thrones. 6º Game of Thrones has a plotline involving dragons..
7º …bringing me to my first nominee, windhound’s colorful and experimental Dragon Shades blog, featuring beautiful abstract digital art and photography. 0º Dragon Shades brings colour to life. 1º Living Colour were a heavy rock band from the late ’80s who I once saw at Reading Festival. 2º The Ballad of Reading Gaol is a poem by Oscar Wilde. 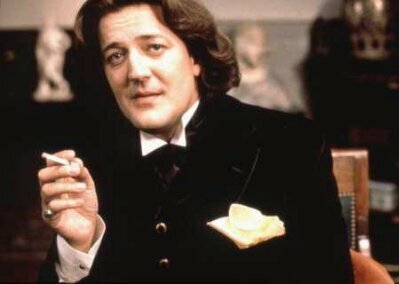 3º Wilde was played by Stephen Fry in the film of his life. Stephen Fry – Wilde man. 4º Fry used to be in a double act with Hugh Laurie. 5º Laurie has found fame in America both through his music and as the unconventional doctor in the title role of House. 6º House Music is often accompanied by elaborate computer graphics and digital video effects. 7º Which are just the sort of things that are on display on the blog of my second nominee, Waking Spirals. 1º …as does Waking Life, the extraordinary film by Richard Linklater who also made A Scanner Darkly. 3º ..who was in Blondie. 4º Blondie began their career at CBGB, along with other punk legends The Ramones and Talking Heads. 5º Talking Heads made my favourite concert film of all time, Stop Making Sense..
7º ..and what do you have in the back of a suit? A Vent, that’s what. Which is what Ron calls his blog, and he’s nominee number 3. Check out his take on life in the big city, it’s faaabuuloso. 0º A vent is something you would use to release air. 2º …from the album Moon Safari and when the Apollo 11 mission went to the moon they planted a flag. 3º Flagg is a character in many Stephen King novels including The Stand, many of which contain monsters..
4º …and Stand is a song by R.E.M. 5º ..who recorded an album called Monster. 6º They also had a massive hit with Everybody hurts. 7º And what do you have if everybody hurts? A World Of Pain, that’s what. Adam’s blog is funny, clever, thought provoking and occasionally mischievous. Go and take a look, you won’t regret it. 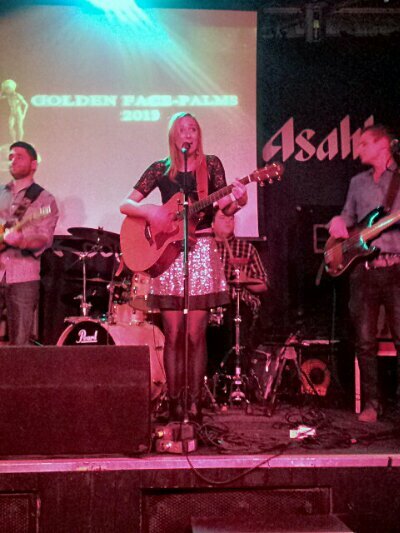 0º A World Of Pain’s Golden Face Palms are raising a lot of dough for cancer charities. 1º Dough is what bread is made of and Pain is the French for bread. 2º Pizza is also a dough and Pizzaman is one of the many aliases of Fat Boy Slim. 3º Fat Boy Slim’s real name is Quentin and Christopher Walken appeared in one of his videos. 4º Walken also appears in another Quentin‘s film, Tarantino‘s Pulp Fiction. 5º Tarantino’s films frequently contain prolonged shoot-outs, much like those favoured by Simon Pegg and Nick Frost in Spaced. 6º Someone else who was severely spaced was Arthur Dent in Douglas Adams’ fantastic Hitchhiker’s Guide to the Galaxy, in which he and his friend stick out their thumbs and travel round the universe..
7º …as opposed to Quillan and Angela at Toemail, the fourth of my award recipients, who travel round the world and send back stories with photos attached, all of which contain a toe or two. Go dip a toe in their blog. 0º Toemail posts all feature feet. 3º The original Orwellian nightmare, Nineteen Eighty Four revolves around the character Winston Smith. 4º The Smiths recorded a live album called Rank. 5º The Rank Organisation movies of the ’50s and ’60s opened with a man striking a giant gong. 7º …which would be an ideal accompaniment to my penultimate nominee, The Flying Fruitbowl, where you will find Aaron curating all manner of fabulous digital and fantasy art by new and exciting young artists. 0º A fruit bowl is an item favoured by artists painting still life pictures. 1º Still Life is an album by prog rock pioneers Van de Graff Generator. 2º The scientific apparatus, the Van de Graff Generator is used for making electricity. 4º …who also recorded Maid of Orleans, a song about Joan of Arc. 5º In Bill and Ted’s Excellent Adventure, Joan of Arc is played by Jane Wiedlin from The Go-Gos who had a hit with Rush Hour. 6º Canadian rock band Rush released an album called Moving Pictures..
7º ..like the ones you’ll find on Sandro’s blog Life in Pictures, an eclectic selection of beautiful photography with something to interest and enchant everyone. Which is my seventh and final Tenuous Link to an award nominee in this daisy chain of tangential twaddle. 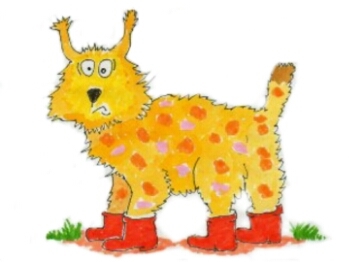 I hope you found something to entertain you amidst the forest of links and clips and if you are a lucky recipient, why not have a go yourself and pass along the Tenuous Lynx.